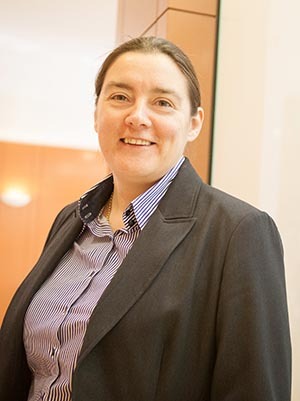 Catherine now specialises in family law at Woolley & Co Solicitors. Having studied a legal module on my HND course, I was attracted to the law and decided to apply to the LLB course. It was not something I had considered before and staying at Teesside University seemed like the natural choice. What in particular did you enjoy? I enjoyed the human aspect of law – the majority of cases studied relate to individuals who are challenging legal principles opposed by another person or a corporation or public body. I was also interested by the variation of topics and areas covered. I found the course challenging and enjoyable. What do you think about the facilities on campus? Campus facilities are really good. Throughout my time at Teesside University, I spent many hours in the library – I found the research facilities excellent for legal text and topics. I also worked in the Students’ Union for the last two years of my LLB course, which meant that I earned money whilst enjoying a social life. The Students’ Union attracted some great bands and I made some good friends as part of the bar team. My general experience of Teesside University was a great one. I made friends who I am still in touch with now. I received great support from the faculty staff as well as technical and educational support from the library services and facilities.